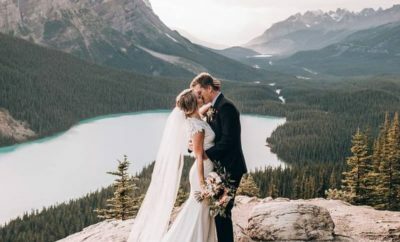 With a strong emphasis on living a sustainable life, there is more and more pressure to go green in all aspects of our lives – and that includes your wedding day. But going green for your big day is a lot easier than you think, and will give you plenty of options to play around with to create a unique event. 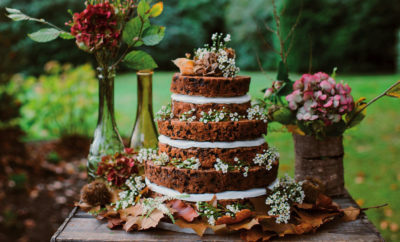 From everything including your food down to your dress, check out our top 10 ways you can make your wedding more green. 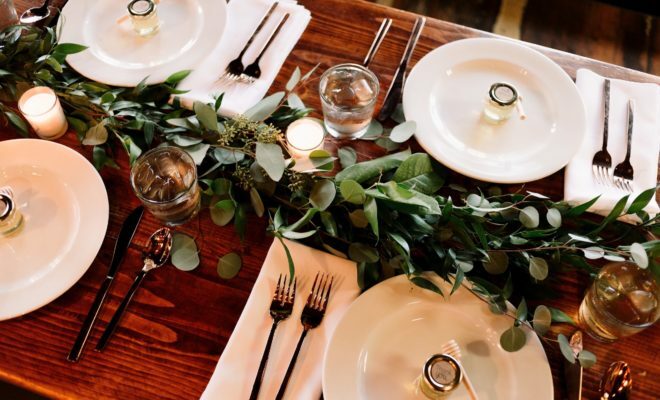 Your wedding venue plays a big part in how your day will look, feel and be represented, but it’s also one of the key ways to making your wedding greener. Aim to choose a location that is already promoting sustainability with their food, electricity, water usage, etc. This will make it easier for you when sorting out your decor and catering. To save on fuel, try to find a venue that is more central so that most of your guests can carpool and travel shorter distances. When it comes to creating greener stationery, there’s plenty to play around with. Apart from it being a major trend in the digital era, creating a wedding website where your guests can find all the details and RSVP saves you on paper (and printing costs). As for the menus, seating charts and stationery present at the wedding, you can get creative with materials like recycled cotton for that high-end look. You can also get away with only one menu per table, instead of giving one to each individual guest. While DIY doesn’t necessarily equal planet-friendly, creating things yourself will help you keep track of the materials and methods you’re using so that you can avoid anything harmful. Don’t be afraid to reach out to friends and family for second-hand or recycled goods that can be used to for your wedding decor. For example, placing candles or organic flowers inside old mason jars can create a rustic look on the tables for your wedding reception. Source the flowers for your wedding from a local organic florist, or even plant them and pick them yourself from your garden. Try to use florals that don’t require a lot of water – succulents are beautiful and modern – and create a beautifully unique arrangement. They can even serve as your wedding favours too, so your guests can take them home and plant them in their own gardens. There is a wide variety of thoughtful and fun wedding favours when it comes to sticking to green options. Spoil your guests with some herbal tea leaves and a personalised ‘Thank You’ note, or offer them organic seeds that they can grow at home to symbolise your new journey of growth with your loved one. Plants, birdseed or homemade organic beauty products are also lovely options. Every bride wants that special and unique dress that feels perfectly made for her, but this can be an expensive and taxing reality. It’s much greener and cheaper to hire a dress or have a vintage one altered to suit you. However, if you do plan on buying a dress or having one made, aim to use more planet-friendly materials and create a piece that you will be able to wear again or pass down. If your venue is sustainable and offers catering, it’s a perfect deal! If not, look for a caterer that makes use of organic produce. Maybe even opt for going completely meat-free for your wedding menu and serve colourful fresh foods for your guests to enjoy that have a lower impact on the environment. Instead of plastic or paper confetti, opt for flower petals (which are much softer), birdseed, grains or plant seeds. These make light and pretty confetti pieces that can be carried in hand-woven baskets or bowls to save on plastic or paper cups. They are also affordable, easy to find and utterly unique. Try to avoid any paper or plastic use. Rather use proper cotton napkins, bare tables and chairs, and lots of greenery. Write your table numbers on rocks, pebbles or shells, and ask friends and family for spare decorations and table settings that you can borrow just for the day. Mismatched decor may just be the next trend! A family heirloom or vintage ring is the perfect way to lower your environmental impact on the planet, while still spoiling your other half with something precious. Alternatively, you can source your ring from companies that work with recycled metals and gemstones and have fair trade labour practices to create a sustainable option for you and your partner.